Graves Motorsports Suzuki GSX-R 600 + 750 + 1000 Fairing Bracket - Kit Tach. Graves Motorsports Suzuki GSXR model (see model fitment below) Fairing Brackets are fabricated from lightweight aluminum to maximize strength and minimize weight. All fairing brackets are hand welded in a fixed jig to ensure a precise fit and finish. These fairing brackets are designed for track use only and are not designed to support headlights or mirrors. 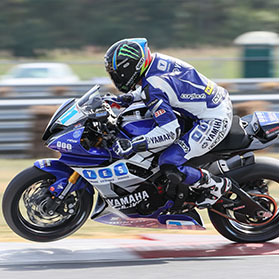 Track proven and tested on Graves Motorsports racing sport bikes worldwide!